Senior heavyweight Bennett Traurig is a big reason why the varsity wrestling team is ranked 5th in the state. 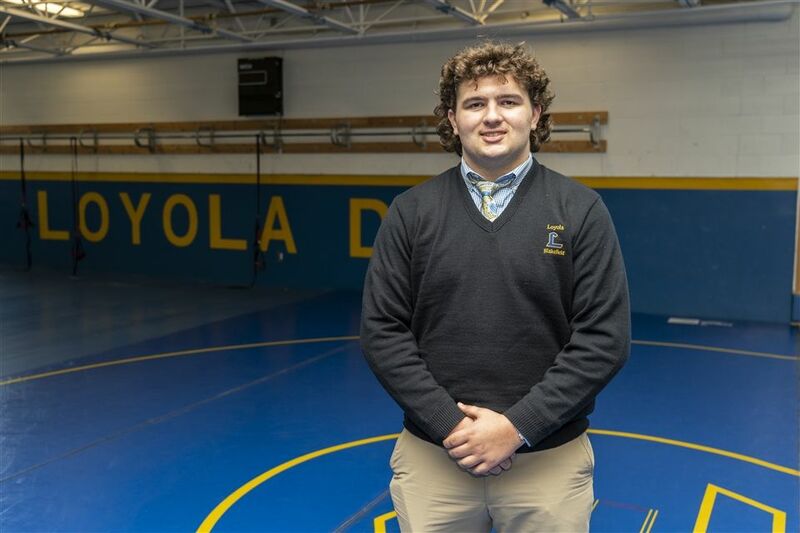 The two-time team captain and four-year varsity starter recently placed second at the prestigious Mount Mat Madness Tournament, won the Winters Mill Falcon Invitational this past weekend, and is currently ranked 10th in the National Prep polls for the 285 lb. weight class. On Wednesday, Bennett pinned his state-ranked opponent from McDonogh to improve his record to 19-2 on the season. "Bennett has developed into an excellent wrestler," said Coach Truitt. "He is one of the vocal leaders of the team, and he backs it up. It has been an absolute pleasure to coach Bennett the past four years, and I’m excited to watch him compete the next two months."